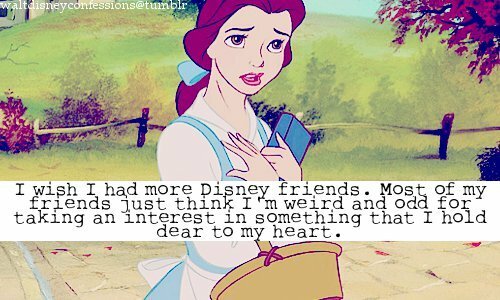 Time for five more Walt Disney Confessions! I hope you enjoy them and have a wonderful weekend! 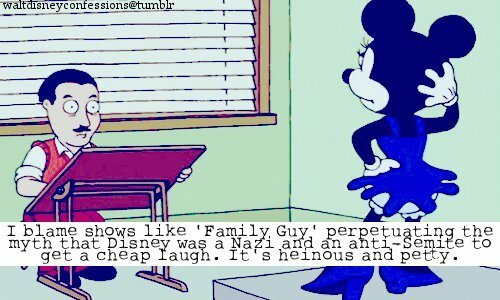 Remember, all of these were created by Walt Disney Confessions Tumblr, not me. If you'd like to see more, check out their page! Err...awkward...someone obviously has bad taste. The Disney Freak...you're going to die after seeing this. 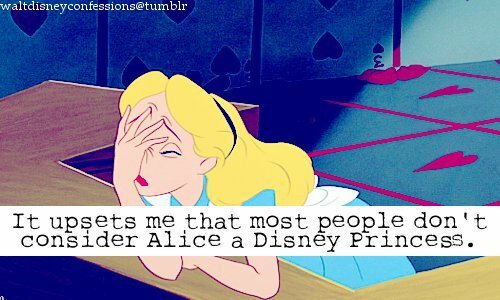 I think it's mainly because she technically isn't royalty..she's a normal girl. But I see your point. Interesting, but this also proves that having the same race as someone doesn't mean you connect with them. Ugh seriously. I can't stand people who actually believe that stuff. Sorry I didn't see this till right now...a bit late. Yes, I almost did die. I love that movie so much. To be honest, I think it IS relevant. It teaches us to believe that dreams can come true, even more than Cinderella in a way. Aurora dreamed about her prince, and it came true! It may have been confusing in the way that everyone thought the other was someone else, but it was magical all the same. And to top it all of, Aurora's beautitful, Maleficent's evil (Mistress remember? ), and Phillip's hot (though not as hot as Tarzan or Shang). But to each his own. 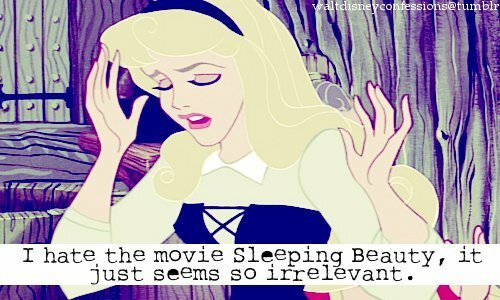 I still think it's a beautiful movie! No problem! These and the wedding dresses are just so much fun to share. They're all so unique and interesting to read about! Yeah, glad someone agrees. I forgot to mention that: I LOVE the fact that he fights for her. It's so heroic...and Maleficent is so evil that the fact that he kills her is just so...have I already said heroic? Oh, those fairies! And them fighting over her dress. Let me say, I prefer her in blue. You?